Manchester United have resumed their pursuit of Toby Alderweireld. With newly-appointment permanent gaffer Ole Gunnar Solskjaer looking to strengthen his side’s defence, he has identified Toby Alderweireld as a prime target for the summer. Spurs were eager to tie the Belgian down with a new long-term deal, but negotiations between the two parties over fresh terms ultimately fell through in January. The London outfit did take up the option to extend the player’s existent deal by a further year, and it consists of a £25 million release clause that will activate at the start of the 2019 summer transfer window. With a centre-back of Alderweireld’s calibre and experience available for an unbelievable cut-price deal in the current inflated market, Manchester United are more than eager to swoop in and secure his services, report The Sun. Red Devils’ vice-executive chairman Ed Woodward in under heavy pressure to deliver a star defender, and he believes Spurs’ 30-year-old superstar would be a fairly achievable target. While the Mancunians’ interest is reported to be true, they are yet to establish contact with Tottenham regarding a transfer for the Belgium international. 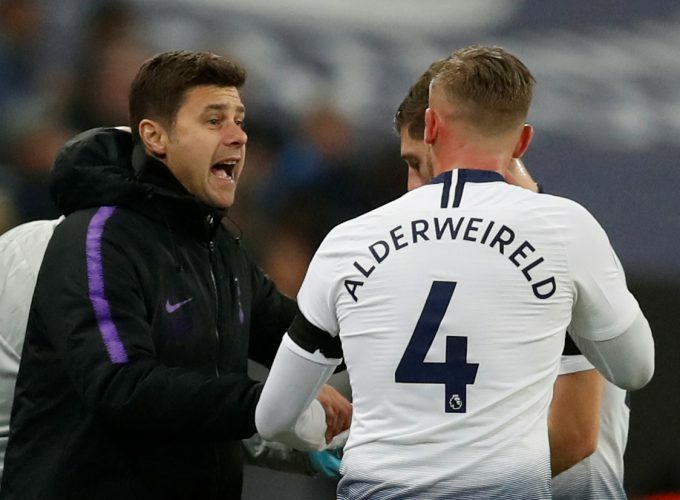 Alderweireld has already made 40 appearances for Mauricio Pochettino’s side this term, and he will be vital for his team in the congested top 4 race, which also involves what could possibly be his next club.